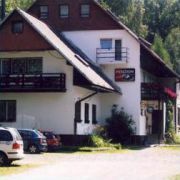 Guesthouse in the heart of those Jeseniky Mountains. 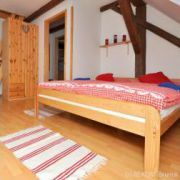 High standard spacious apartments with private bathroom, TV+SAT … More » , fully equipped kitchen. Common room with a fireplace. Private parking. Guests can use ski room, bike room with lockable boxes. The area is ideal for hiking and biking in summer. Mountain cottage at the eastern part of Hrubý Jeseník mountains, in the middle of birch grove under the mountain … More » Čertova hora, near mountain Praděd, Ovčárna or Karlova Studánka. 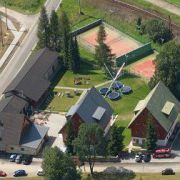 Rooms with bathroom, common room, billiard, outdoor sitting, playground, indoor swimming pool, infrasauna, whirpool. We offer accommodation in guesthouse focused on families with children, where each of the 13 rooms including bathrooms … More » is unique, and some rooms have more premises. Garden with a sandpit, swings and a covered seating area. New swimming pool - 7m long. 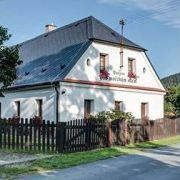 New rebuilt and equipped guest-house is situated in the beautiful part of village Karlova Studánka (Hubertov). … More » Spa service in Lázně Karlova. Distance to bus to Karlova Studánka is 50m. Non-smoking Guesthouse Tramky offers you a unique home and romantic atmosphere! We offer 11 luxurious rooms with … More » their own sanitary facilities. 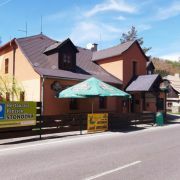 Our restaurant offers excellent meals, various kinds of beer and selection of south Moravian wines, but also original Italian pizza.